how great is Your love for us! of being love, praised, and glorified! We have neither heart nor spirit worthy of doing so. have given us a way of carrying it out. I will put a new spirit in your midst" (Ezekiel 36:26). of blessing and loving Him as much as He deserves. as the Head and members form one single Body. There is a tendency nowadays, in some quarters, to downplay the importance of Fatima, perhaps dismissing it as not "intellectual" enough, or even as something of an embarrassment in a modern Church. But the fact that all the popes since Pius XII have given it such strong support is an implicit rejection of such a position. In particular, Pope John Paul II has gone out of his way to affirm the importance of the message of Fatima, having recently beatified, in the Holy Year 2000, two of the three children, Jacinta and Francisco. He also authorized the release of the third part of the secret and directed Cardinal Ratzinger to publish it together with a Theological Commentary. Mahalo to Louise for sharing. Sweet Child Mary, who, being Mother of God, have also become our beloved Queen and Mother, for the numberless graces You have obtained for us, listen to my humble prayers. All my hope is upon You, in all the needs which surround me. Holy Child, by the merits and privileges which have been given only to You, be merciful towards me. Show that the source of the spiritual treasure You give out is inexhaustible. For the profusion of graces Almighty God has given You, O heavenly Child grant my prayer and I will praise Your goodness forever. into the care of the Sisters of Charity at Lovere, Italy. Bambina wanted to reward those who had devotion to her. Sanctuary of the Mother House in Milan. Bambina among them the recovery of Sr. Josephine Woinovich herself. Lord, have mercy on us,...........................................................Lord, have mercy on us. Christ, have mercy on us,.........................................................Christ, have mercy on us. Infant Jesus, hear us,...............................................................Have mercy on us. Infant Jesus, graciously hear us,...............................................Have mercy on us. God the Father of heaven,.........................................................Have mercy on us. God the Son, Redeemer of the World,........................................Have mercy on us. God the Holy Ghost,.................................................................Have mercy on us. Holy Trinity, one God,...............................................................Have mercy on us. 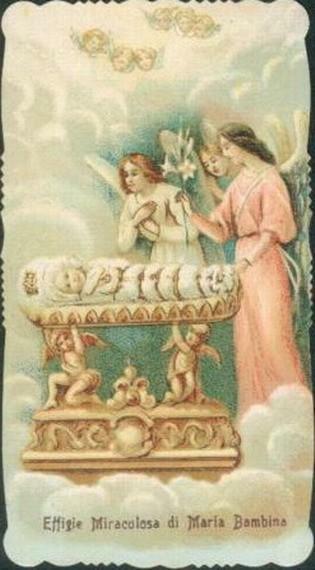 Holy Infant Mary,......................................................................Pray for us. Infant Daughter of the Father,.....................................................Pray for us. Infant, Mother of the Son,..........................................................Pray for us. Infant, Spouse of the Holy Ghost,...............................................Pray for us. Infant, Sanctuary of the Holy Trinity,...........................................Pray for us. Infant, fruit of the prayers of thy parents,.....................................Pray for us. Infant, riches of thy father,.........................................................Pray for us. Infant, delight of thy mother,......................................................Pray for us. Infant, honor of thy father,..........................................................Pray for us. Infant, honor of thy mother,........................................................Pray for us. Infant, miracle of nature,............................................................Pray for us. Infant, prodigy of grace,.............................................................Pray for us. 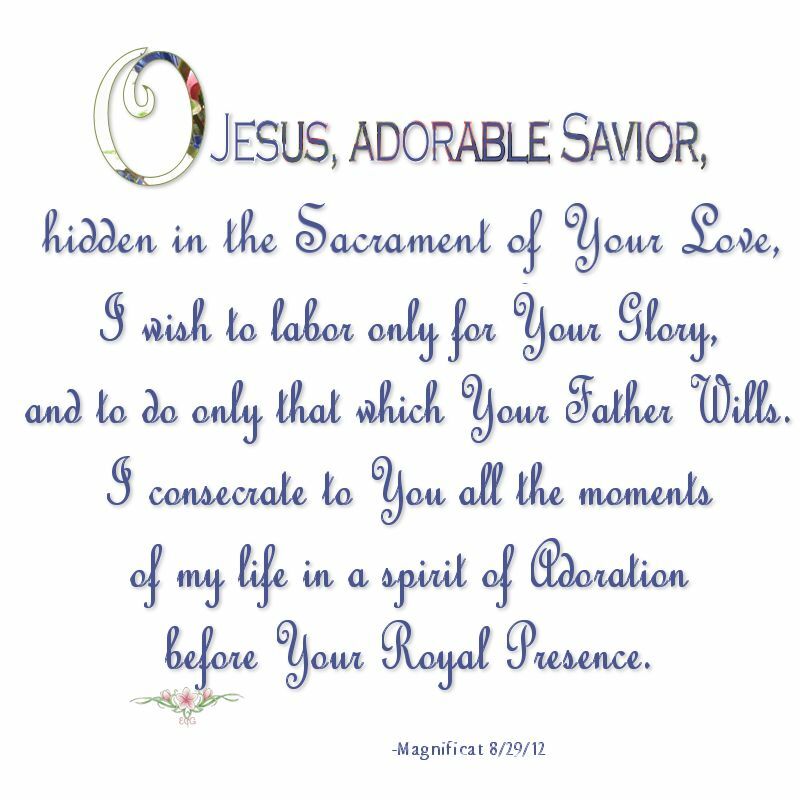 Immaculate in thy Conception,...................................................Pray for us. Most holy in thy Nativity,...........................................................Pray for us. Most devout in thy Presentation,................................................Pray for us. 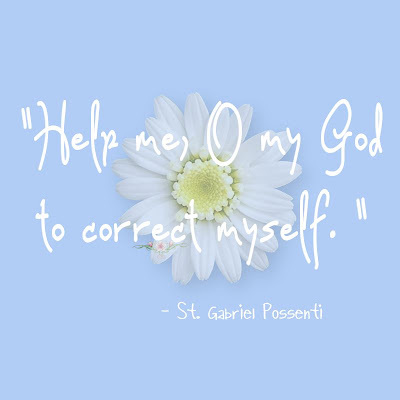 Masterpiece of God's grace,......................................................Pray for us. Aurora of the Sun of Justice,.....................................................Pray for us. Beginning of our joy,.................................................................Pray for us. End of our evils,.......................................................................Pray for us. Infant, joy of earth,....................................................................Pray for us. Infant, joy of heaven,.................................................................Pray for us. Pattern of our charity,...............................................................Pray for us. Model of our humility,...............................................................Pray for us. Infant, most powerful,................................................................Pray for us. Infant, most mild,......................................................................Pray for us. Infant, most pure,......................................................................Pray for us. Infant, most obedient,................................................................Pray for us. Infant, most poor,......................................................................Pray for us. Infant, most meek,....................................................................Pray for us. Infant, most amiable,.................................................................Pray for us. 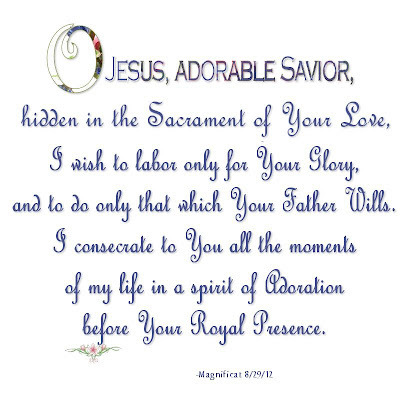 Infant, most admirable,..............................................................Pray for us. Infant, health of the sick,...........................................................Pray for us. Comfortess of the afflicted,........................................................Pray for us. Refuge of Sinners,....................................................................Pray for us. Hope of Christians,...................................................................Pray for us. 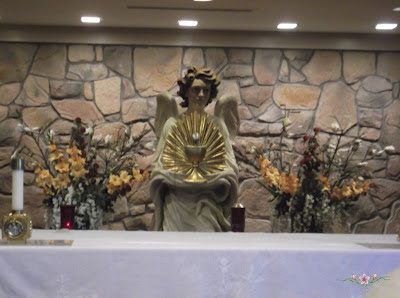 Lady of the Angels,..................................................................Pray for us. Daughter of the Patriarchs,.......................................................Pray for us. Desire of the Prophets,.............................................................Pray for us. Mistress of the Apostles,..........................................................Pray for us. Strength of Martyrs,.................................................................Pray for us. Glory of the Priesthood,............................................................Pray for us. Joy of Confessors,...................................................................Pray for us. Purity of Virgins,......................................................................Pray for us. Queen of all Saints,.................................................................Pray for us. Infant, our Mother,...................................................................Pray for us. 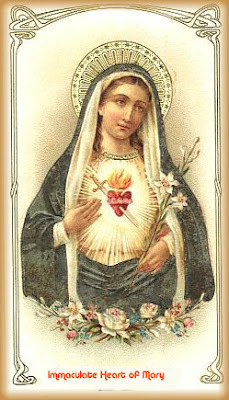 Infant, Queen of our hearts,......................................................Pray for us. Lamb of God, Who takest away the sins of the world,.................Spare us, Infant Jesus. Lamb of God, Who takest away the sins of the world,.................Graciously hear us, Infant Jesus. Lamb of God, Who takest away the sins of the world,.................Have mercy on us, Infant Jesus. O almighty and merciful God, Who through the cooperation of the Holy Ghost, didst prepare the body and soul of the Immaculate Infant Mary that she might be the worthy Mother of Thy Son, and didst preserve her from all stain, grant that we who venerate with all our hearts her most holy childhood, may be freed, through her merits and intercession, from all uncleanness of mind and body, and be able to imitate her perfect humility, obedience and charity. Through Christ Our Lord. Amen.